Thanks to a dull contribution to the iOS gaming market, this week’s iOSA3 spotlight strays away from entertainment and illuminates a newfound gem that just corrected the problem, which never existed until the controversial launch of iOS6. 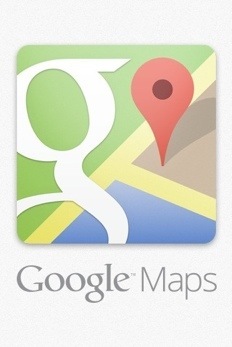 Yup, I’m talking about the elimination of Google Maps in place of Apple’s native mapping service (iMaps?). If you’ve recently found yourself driving to an airport labelled as a public park or getting lost in the Australian Outback, liberation from iMaps has arrived! The new Google Maps app, much like its official YouTube app, takes cues from the Android version and amplifies it to better mesh with iOS. The new Google Maps, however, takes the experience a step further by trumping the UI of their Android version with this little masterpiece. It is truly a piece of functional, handcrafted beauty. Is your world already revolving around Google services? Just use your gmail account to log in and sync your maps up to any previous Google Maps information you may have procured in the past. This includes your home and work locations. Integration: You can definitely find some of Google’s numerous features dispersed throughout the app. Local, which is a free iOS/Android app that allows Google users to submit reviews to restaurants, stores, and services and allows those same users (and non-Google account holders) to read other reviews. Unfortunately, while Google Maps allows reviews to be read, it does not yet support Local review postings, a feature that can only be utilized by opening the actual Local app. Google Navigation, which Google still emphasizes is in Beta, is included and works as well as expected, as far as spoken directions are concerned. 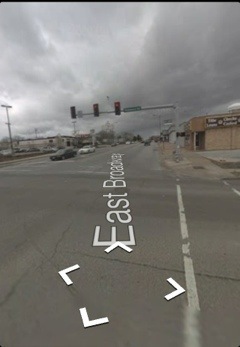 Street View is alive and functional to a point that trumps any previous web-based or Android editions I’ve tried before. Finally, embedded directly into Google Maps is a tab that opens the Google Earth application (if you already have it downloaded to your device). 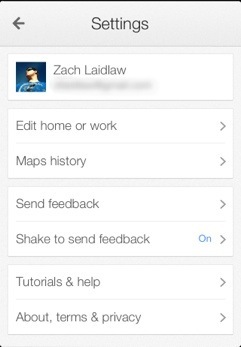 While it’s a nice option to have, I highly doubt you’ll ever need Earth since Maps is more than adequate on its own. MultiTasking: The Navigation mode will continue to direct you in the background of your device, even if you’ve exited the app and/or your screen is sleeping. Unfortunately, because of Apple restrictions, an informative and functional pull down menu, as is offered when iMaps runs in the background, is not offered here, so you would do best to keep the app open while in operation. Negatives, because you know I had to find some: Google’s voice recognition software is some of the best on the market, and personally one of my favorite products Google provides. While they have successfully worked Google Voice into many of their iOS applications, such as Google Search (now with Google Now capabilities) and Chrome browser. Nevertheless, there doesn’t appear to be any Voice integration for spoken commands in Maps (yet), a service that would make navigating locations a breeze when driving. The live compass doesn’t always point in the direction you’re facing. 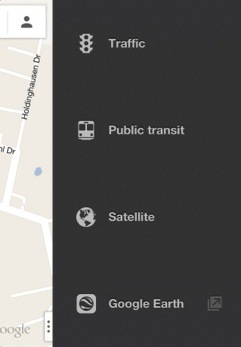 These complains are minimal, of course, based on the many things Google did right in Maps for iOS. iOS3 Rating: 5/5; All features seem snappier on iOS than I’ve experienced on an Android device. This could be accredited to Apple’s buttery OS, Google’s application development, or a mixture of both. 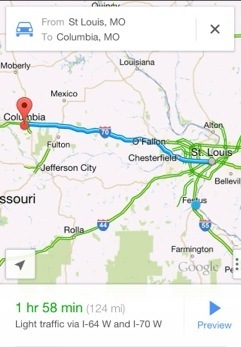 Whatever the reason, Google Maps outshines iMaps in nearly every way. It’s dependable, beautiful, and hopefully it’s renewed UI is something the Android version aspires to be. Bottom Line: It sounds absolutely insane, but I love the Google experience on Apple products. Apple hardware and stability of iOS combined with Google’s expansive knowledge yields one of the most powerful technological collaborations I’ve ever experienced; now only if these two companies actually cooperated with each other. The truth is that Google and Apple are both strong in their own right. While I know it will never happen, I still can’t help wonder what a real Android/iOS collaboration would be like. iDroid, anyone? Sound Off: Now, folks, it’s your turn! 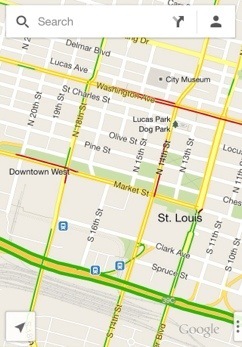 Do you have any thoughts, opinions, or general comments about Google Maps and/or its developer, Google Inc? I personally reply to every comment, and I’d love to hear what you have to say! Just take your cranial debris and throw it down in the box below! Tagged 8, 8DAG, @ZTLaidlaw, Aholics, app, app-aholics, apple, Application, cell, cellphone, Days, Earth, game, geek, Google, ios, maps, Now, phone, review, technology.